The cutter with teeth on conical surface, and on large flat side. The nominal angle of the cutter is the angle between the flat side and the conical side, measured in a radial plane. These cutters are used mainly for cutting dovetails, serrations and angular slots. Being a quality-centric organization of this industry, we are engaged in providing a wide array of 45 Approach Angle Milling Cutter. Milling cutters are primarily categorised in Side and Face milling cutters, Solid carbide cutter and T slot cutters. We are well known suppliers of all kinds of milling cutters. Enquire now!! With our in-depth knowledge of this domain, we are actively engaged in manufacturing an excellent quality range of HSS Double Angle Milling Cutter. 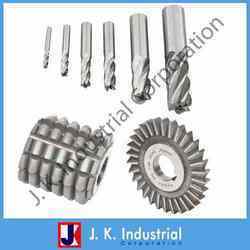 Being a quality oriented organization we are involved in offering supreme quality array of Single Angle Milling Cutter. This Single Angle Milling Cutter is checked for quality in accordance to varied set industrial standards. Our product range is used mainly for cutting serrations, dovetails and angular slots. We specialize in providing our clients wide array of Shell End Single Angle Milling Cutters that stands high in terms of quality, reliability and durability. We procure these cutters from some of the most renowned manufacturers who are known to use the modern methods of production process at their unit. 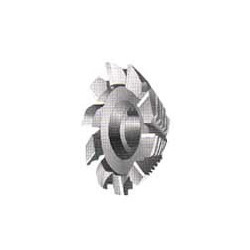 Moreover, these cutters are offered by us at the most effective rates. We are a leading manufacturer and supplier of a wide range of Angle Cutter in Ludhiana and in overseas market. The various attributes like durability and strength make our range of Angle Cutter high in demand. Manufactured using premium quality H.S.S, these are used for shaping various equipment in diverse applications.